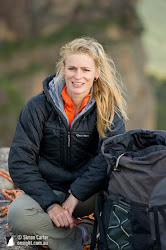 Allie Pepper on Everest 2011: WELCOME TO MY BLOG! Go girl! So great you are climbing the mountain by it's terms and not bringing it down to a lesser level, that is, not using supplementary oxygen. Good luck! Gemma and Tash. Best of luck with your climb of Everest. I just had a chat with a representative from company that is interested in sponsoring your climb (Northcote Pots), so hopefully something comes of that. Hi Allie, Wonderful Blog .All the best for your adventures where ever you may be. Allan. Lois is keeping us in the mountains up to date..but the blog is fantastic...so shall follow with great interest...best of luck for the climb! Thinking about you up there. Good luck, climb safe.